"... (fuses) plenty of Cuban and other Latin influences with Gibbons' regular gumbo of rock and blues, incorporating plenty of percussion and even some hip-hop flavours." "... not only breaks new ground, it does so with aplomb and pizazz ... Gibbons sounds rejuvenated ..."
"... he still plays limber, fluid blues guitar but in the context of Afro-Cuban rhythms and instrumentation." "Even non-ZZ Top fans will appreciate the vitality and exuberance that jumps out of every track ... those who have followed Gibbons’ 45 (and counting) year career should be delighted with this energetic if temporary change in direction." 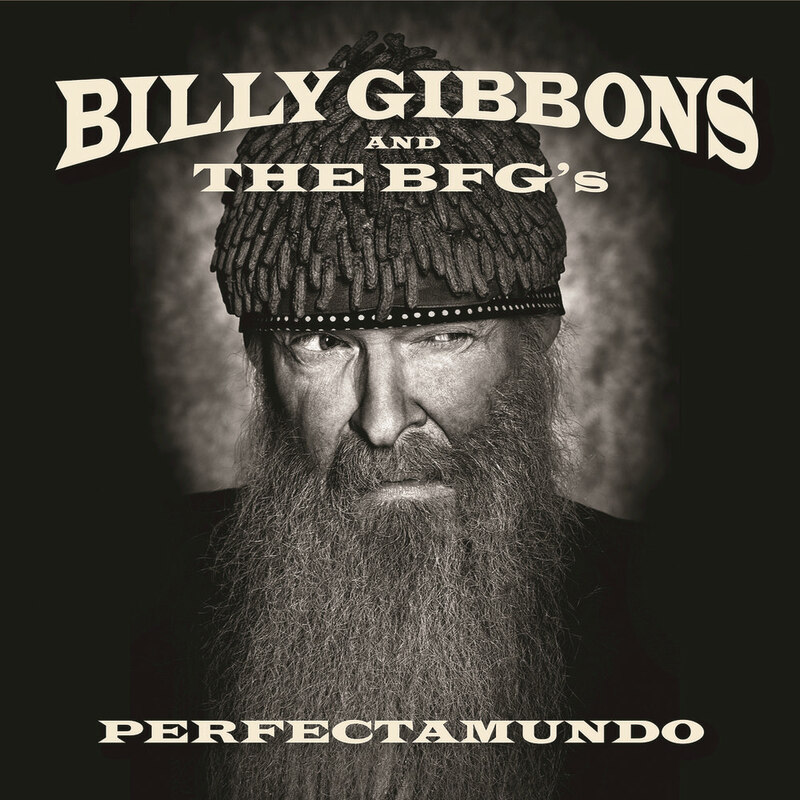 Perfectamundo is the debut solo release from Rock and Roll Hall of Fame inductee Billy Gibbons of ZZ Top, backed by a handpicked group of musicians dubbed The BFG’s. As the title hints, the album takes on an Afro-Cuban flavour, with songs in both English and Spanish, a bold departure from ZZ Top although not a total surprise. In his pre-ZZ Top days, Gibbons studied Latin percussion in Manhattan with none other than its preeminent virtuoso, “Mambo King” Tito Puente. At the hands of the master, the young Gibbons learned essential Latin rhythms via conga, bongo, maracas and, most importantly, timbales. "Banging away on ‘em came back like riding a lost bicycle," Gibbons relates of his return to the genre by way of Perfectamundo. "Deep at the core of everything we do, either as ZZ Top or with the Perfectamundo aggregation, is the blues. That's the diamond and we found a way to put it into a new, Afro-Cuban setting. It really does come from the same place."